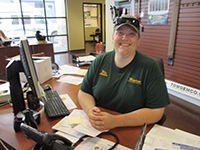 Our service department is open Monday - Saturday for your convenience. Our new service facility is one of the largest in the Western United States and features 30 service bays, most capable of servicing a 40-foot coach. 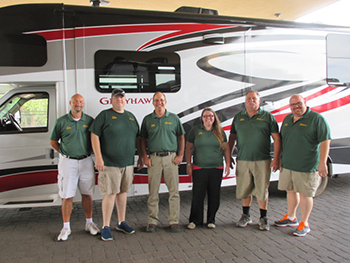 Our team is dedicated to providing service that fits into your schedule, and returning your coach to you faster than any other RV facility. Our goal is to service your coach within 10 days. So, that means whether you have a fifth wheel, motorhome, toy hauler, or any other kind of RV, Manteca can service it. Manteca Trailer's state-of-the-art service facility has the capability to make any and all repairs and modifications to your recreational vehicle. We are here to assist you with any make and model. We accept most extended service contracts and will do warranty for most manufactures. 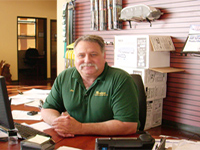 We provide service for your RV as long as you purchased it some where other than Best RV. We have made arrangements with Allegro (Tiffin Motorhomes) www.tiffinmotorhomes.com to do the warranty work for those customers that purchased from JCs RVs in Livermore, California. We are doing what we can to help out with the Itasca, Winnebago work as well. We have been an Airstream dealer since 1970, and for those who purchased your Airstream from East Bay RV, ( www.eastbayrv.com), we are only a little ways away. Not all manufactures pay for complete repairs so you may be responsible for some of the expense. 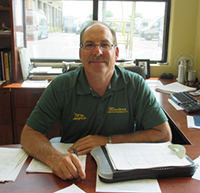 Many dealers are giving up product lines and reducing their service facilities. We have been servicing Roadtrek, Bounder, Pace Arrow, Flair, Storm, Discovery, American Eagle, Prowler, Terry, Mallard, Pioneer, Weekend Warrior, Titanium, Keystone, Fourwinds, Carriage Cameo, Dutchmen, Eclipse, Forest River, NuWa, Skyline, Gulfstream, Monaco, Holiday Rambler, Ragen, Komfort, Nomad, Aljo, Layton and many others through both new RV sales and used RV sales. If you bought something at Alameda County Fairgrounds (Pleasanton RV Show) we will be more than happy to service it for you if the dealer was from out of the area or you are just unhappy with the service you are getting. Geweke RV - Lodi CA, Best RV - Manteca CA, Don's RV - Ceres CA, Pan Pacific - French Camp CA , Alpine RV - Morgan Hill, Alpine Recreation - Morgan Hill, Bonnessa RV - Gilroy CA, Family RV - San Jose CA, Sun Down RV - Merced CA, Happy Dayz RV - Sacramento CA, RV Brokers - Sacramento CA, RV Brokers - Sacramento CA, Fox Trailer Sales - Sacramento CA, Village RV Center - Livermore CA, All Seasons - Redding CA, La Mesa - Davis - Sacramento CA, Meeks RV - Acampo CA, De Martini RV - Sacramento - Grass Valley CA, Rays RV - Sacramento.